If you saw the movie "The Shawshank Redemption," you may remember the scene where Tim Robbins' character earnestly explains to inmate sage Red Redding (Morgan Freeman) that he is innocent of the crime of which he was convicted. "Well, then, you'll fit right in here," replies Red with an ironic smile. "Everybody here is innocent." For over 20 years now, Jens Soering has been relentlessly reprising the Robbins role. Almost always, he gets the Red Redding reaction. Most people who are sent to prison file a few appeals, then settle down to do their time. 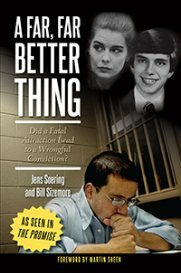 Soering has never stopping stirring the pot -- writing books, contacting anyone in the media who will interview him and posting Website messages maintaining that he was not the person who brutally murdered Derek and Nancy Haysom in Bedford County in 1985. Most recently, his attorney is touting some new DNA evidence Soering says shows that someone else was present at the murder scene. He persists in this even though it has been hurting him. Parole boards like to see remorse from those who come before them, and maintaining "I didn't do it" is not the quickest route to their hearts -- or out of prison. Soering is smart enough to know this. When outgoing Gov. Tim Kaine issued an order that would have let Soering out on parole and returned him to Germany, where he is a citizen, the Haysom family went ballistic. On cue, a parade of area politicians piled on. But let me be a devil's advocate (not literally, Jens) for a moment. In the first place, Soering is currently up for parole. Whether he hacked his girlfriend's parents to death on some sort of mad solo mission, whether Elizabeth Haysom was there to help him, or whether some other scenario unfolded is almost a moot point by now. There are enough unanswered questions about what happened in the Haysoms' home on Holcomb Rock Road to stoke local cocktail party conversation for 50 years, but we'll probably never know for sure. In the meantime, Jens Soering and Elizabeth Haysom have squandered their youth behind bars. Granted, that still doesn't make up for the death of her parents -- but then again, nothing will. Nothing that could be done to them will ever bring Derek and Nancy Haysom back. According to the law, the parole board could decide that Soering has paid his debt to society. One reason for not releasing someone is that they might still pose a danger to the public. In Soering's case, however, the only public he would endanger would be in Germany -- and the German government seems OK with that. Despite his protestations, the fact remains that Jens Soering has been tried and convicted. I don't believe he has ever expressed a desire, O.J. like, to "find the real killer." He just wants to leave. Maybe it's finally time to close the book on this case. 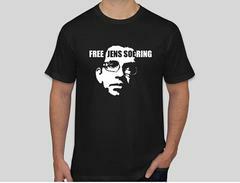 As long as Soering remains incarcerated in the U.S., that is never going to happen.